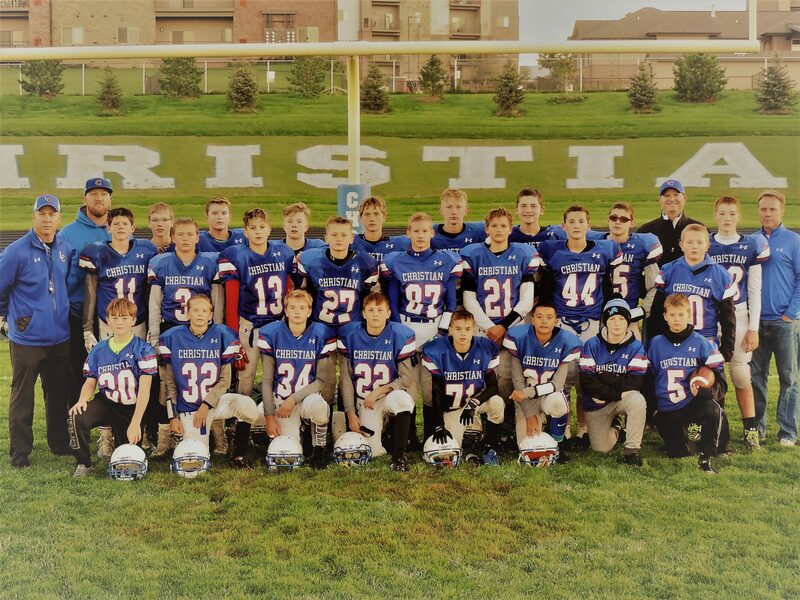 The Junior High football season is complete and it was a year to remember. Not because we went undefeated. Not even so much because of anything that happened on the field, although the boys made significant progress throughout the season. What made this year so special were the relationships that were developed and the growth in character that we coaches saw in the boys. The game of football provides a coach with an incredible opportunity and privilege to instill in the players the values of loyalty, effort, resilience, teamwork, and character, through on and off the field experiences. These values transcend the game and directly impact what kind of men these boys are becoming. For example, the same way that compromises made during practice always show up in the game, little compromises in our character always leads to bigger issues in life. As such, our goal this year was for every player, regardless of the physical talent they possessed, to grow physically, emotionally and spiritually throughout this season. We focused on stressing the fundamentals, hard work, discipline and values at every practice. Our belief was that without these, it didn’t matter what style of offense or defense we ran, what level of talent we had, or what the score was on the scoreboard; we would not consider this year a success. Winning is important, and we expected to win. However, winning is not the only measure to success. Did the players continue to work hard and maintain positive attitudes when things weren’t going well? Did they work hard? Did they demonstrate character? Did they grow spiritually, emotionally, physically and relationally? Did they improve from game to game? The answer to all of these questions is “yes.” Therefore, regardless of our record, this year was successful and I was blessed to coach these growing young men.